Goshen Named Bicycle Friendly Community by the League of American Bicyclists. The City joins South Bend, Bloomington, Carmel and Indiana/Marion County as the only other Indiana communities with this designation. The City is committed to promoting bicycling for fun, fitness and transportation. Here’s a link to the press release reporting the addition of Goshen, IN as one of 11 new BFCs across the country for Fall 2011. Very well done, Goshen Bikes! Thanks to all who helped make this happen! 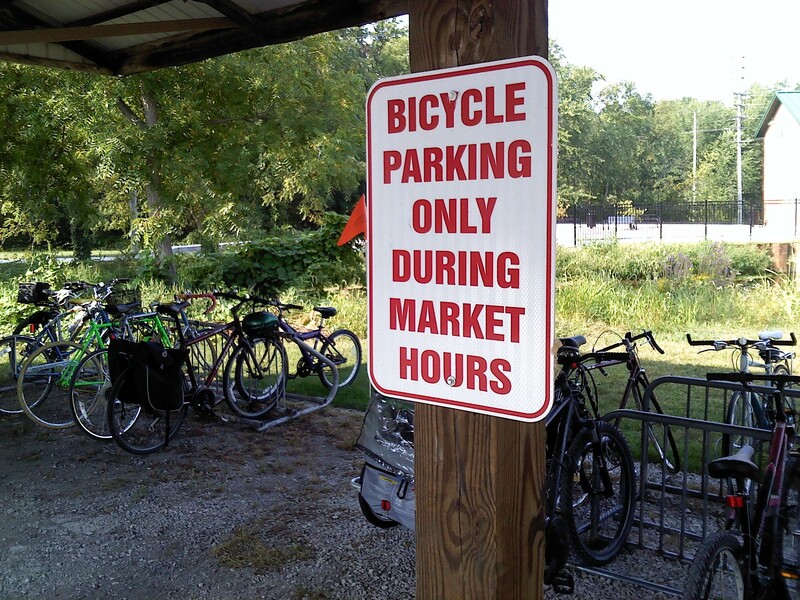 Here’s a sign posted at the Goshen Farmer’s Market. The Steel Wheels are an acoustic/folk music band featuring Goshen’s Jay Lapp. 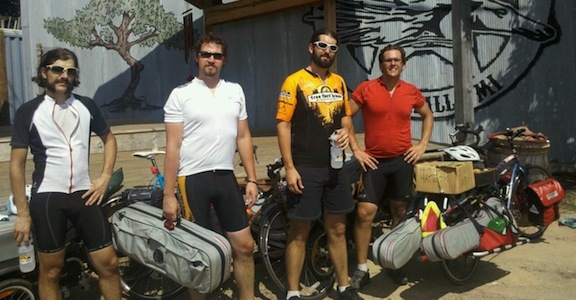 The band is touring Michigan, Illinois, and Indiana by bike. Their final show is tomorrow, August 14 at the Red Bridge Inn. Come out and support great music and bicycle power! Goshen Millrace tunnel grand opening! The SHANKLIN-MILLRACE PASSAGE will be completed soon! A ribbon cutting ceremony will be held Wednesday, August 11 at 5 pm. Come meet with us in the parking lot outside Rieth Interpretive Center at 410 West Plymouth Avenue, and celebrate with the City the completion of this much anticipated Maple City project. The Park Department will be serving refreshments. You are encouraged to ride your bike, and please remember to wear your helmet! Please attend if at all possible to show your support. Wheels of Compassion Bike Ride , Saturday, June 5th, is designed to help support the Center for Healing and Hope, a non-profit health clinic in Elkhart County that provides access to health care for the uninsured population through the dedication of volunteers from community and churches. See this blog entry from U.S. Secretary of Transportation Ray LaHood for some great news! Also see the US DOT Policy Statement on Bicycle and Pedestrian Accommodation Regulations and Recommendations. Seems like Craig Fry might benefit from listening up a bit better! From today’s LA Times, this article on educating the LAPD about biker’s rights. See also this article on how the police were swayed to listen.